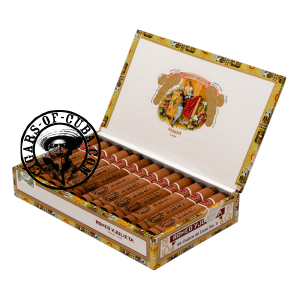 The smallest of the Romeo y Julieta Cedros series, this Petit Corona is a great afternoon smoke and will be enjoyed by all smokers. Cedar woody flavors dominate the beautifully constructed Cuban cigar, with hints of pepper and leather coming into the blend to animate the smoke. Some regular smokers may find this cigar light and a little monotonous, but it will be a trusted companion type cigar for the good times. A scent of pleasant wood coming through your nose. and a little sweet.